U.S. Army Sgt. 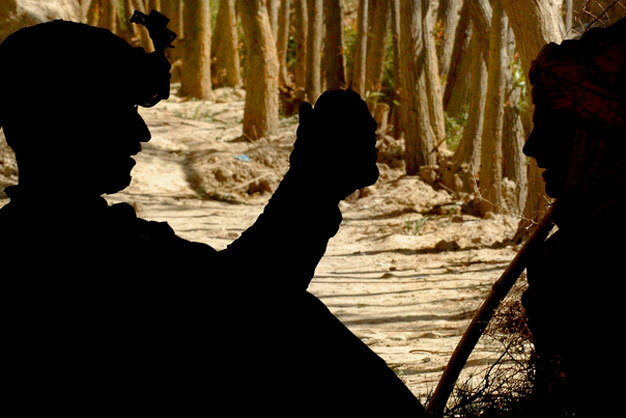 John Davis, Mad Dog Troop, 4th Squadron, 2nd Stryker Cavalry Regiment from Vilseck, Germany, silhouetted in a shaded area, performs a retina scan to a local Afghan citizen near Kandahar Air Field, Afghanistan, April 3. Photo via US Army.